There are many decent topics out there from which to derive a little humour and share a joke with the online populace; even in the case of some darker subjects humour can be an effective coping mechanism. However creating and circulating an online advert which seemingly makes light of such a serious issue as domestic violence, you would think, is obviously a stupid idea to say the least. Some, it would seem, did not get that memo. This time it’s Snapchat which has drawn the wrath of the online community after Twitter user @TheRoyceMann brought to public attention the fact that Snapchat had been allowing a rather controversial advert to do the rounds of their platform. The advert in question - made to promote the mobile game ‘Would You Rather?’ - can be seen below along with Royce Mann’s rather apt summary. 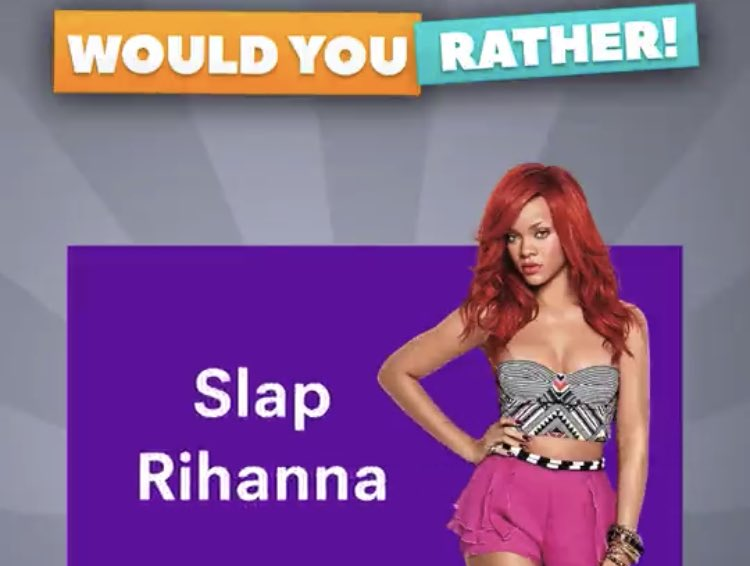 As I’m sure you have noticed, the ad appears to reference the 2009 incident in which Chris Brown assaulted his then-partner Rihanna in his car; a crime for which he was later convicted by a court-of-law. After the ad became public knowledge Snapchat quickly apologised and removed the offending material from their platform while insisting it had been published “in error”. A spokesperson for Snap Inc. commented, “The advert was reviewed and approved in error, as it violates our advertising guidelines. We immediately removed the ad last weekend, once we became aware. The advert was undoubtedly a bad idea, but what I do find odd in all of this is that by far the vast majority of the hate is being directed at Snapchat for allowing the ad on their platform, whilst the company behind ‘Would You Rather?’ who actually commissioned the offending material in the first place seem to have escaped scot-free. Funny that.